Mrs and Mrs Trowell visited our Gateshead showroom and met with Andrew. They worked with him to create a stunning, modern kitchen that they could easily visualise because of our 3D rendering software. It was really important to our client that all the materials and appliances were of the highest quality to withstand the heavy use that a large family would demand of it. This meant installing brands such as Franke for the sink and Bushboard worktops. 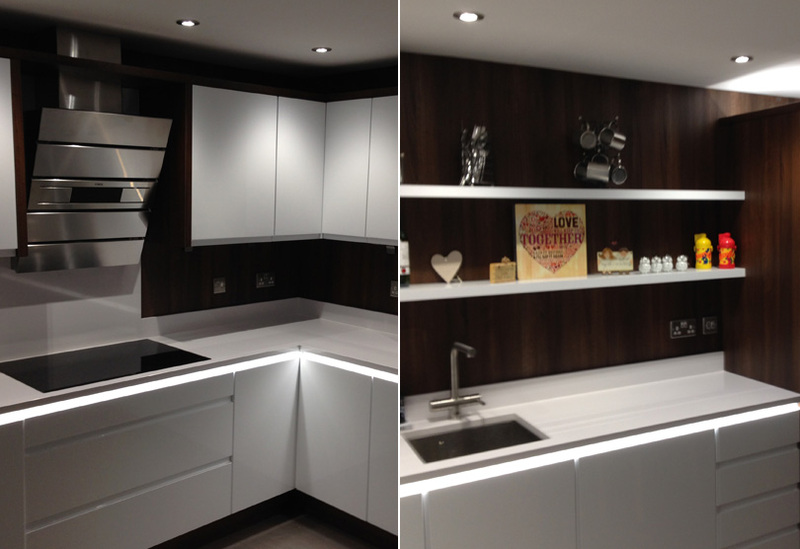 fk&b were able to deliver exactly what the client needed in terms of design and specification. We were also the preferred kitchen supplier because we were able to turn the project around quickly and the price was very competitive. The house had recently been extended so the family was without a kitchen. The entire project was designed and installed in just two weeks. Great result. I would like to that FK&B for doing such an excellent job of our new kitchen. The quality, service and value has surpassed our expectations.